With storage space from the modest to the very large, our range of Liebherr fridge freezers offers something for all households and lifestyles. 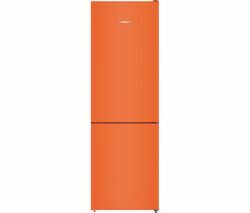 From less than 200-litre appliances to impressive large capacity fridge freezer models, Currys have something for you. Models rated A+ for energy efficiency are more economical appliances that will keep running costs down and decrease your carbon footprint. LED interior lighting clearly illuminates your food, and safety glass shelves provide robust support. Quickly chill and freeze new groceries with fast chill and fast freeze functions that help to lock in nutrients, and make your life easier with storage features such as wine racks, egg trays and can holders. Look for a frost free refrigerator to spare yourself the messy chore of manual defrosting. 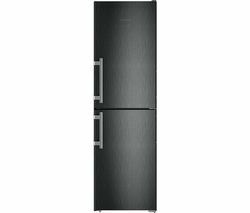 Liebherr fridge freezers from Currys are quiet, high-quality products that help you store your food efficiently and safely.